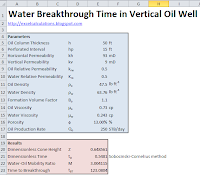 Consider an oil reservoir with an underlying water zone. An oil well that is producing from this reservoir will experience the phenomenon of water breakthrough if the well produces above its critical rate. Since economic considerations often demand high flowrates, this can be a real risk. 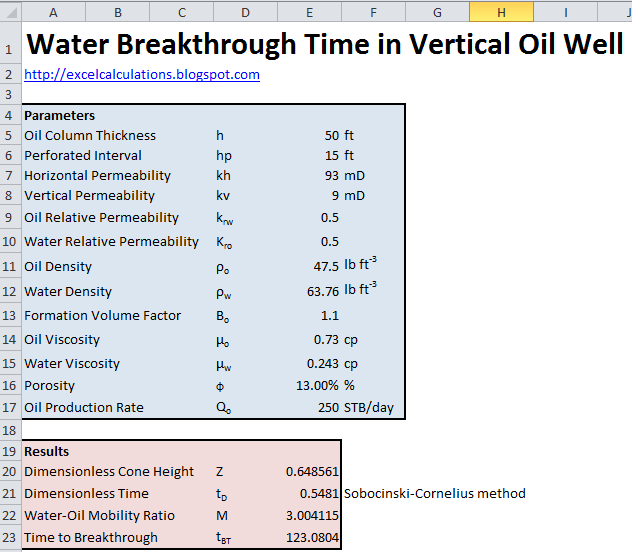 This Excel spreadsheet uses the Sobocinski-Cornelius method to calculate the water breakthrough time. This method was published in 1965, and was derivied from laboratory tests. 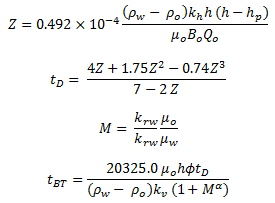 It uses these equations.